Corporate database marketing involves collecting, analyzing, and processing your data on both current and potential customers. Companies have been using database marketing for many years. However, you can now leverage social media and innovative marketing strategies to collect more detailed profiles and use this enhanced information to create sophisticated marketing programs that target specific segments. By learning more about your customers, you can provide specialized offerings for them, making corporate database marketing a win for your company and your customers. Having a properly categorized database helps with marketing and sales reports. Information can be merged with sales results almost instantaneously to let you compare historical data, track sales trends, and monitor progress towards sales goals. One of the main benefits of database marketing is that you can reach out to your top customers who are most likely to respond to your efforts. 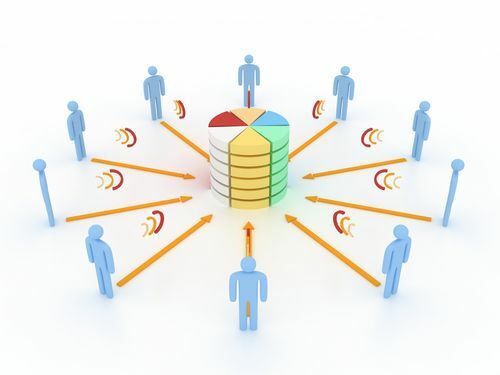 Corporate database marketing also helps you recognize what other potential customers have in common with top customers. When you know what traits they share, you are better able to send offers relevant to different groups. Consumers are inundated with intrusive advertisements practically 24/7. This causes many people to be defensive and skeptical of all companies. When they see how being a part of your database benefits them through special offers or other incentives, they are more likely to stay loyal to your company. Corporate database marketing allows mass customization for marketing campaigns across multiple platforms. You can analyze customer profiles to generate tailored messages in the medium best suited for them. At the same time, you stay in control of your brand at the corporate level. Database marketing is significantly less expensive than traditional advertising methods. You can effectively use social media networks to promote products to people who have already expressed an interest. Marketing to a willing audience translates into satisfied customers who are more likely to recommend your company to friends and family.